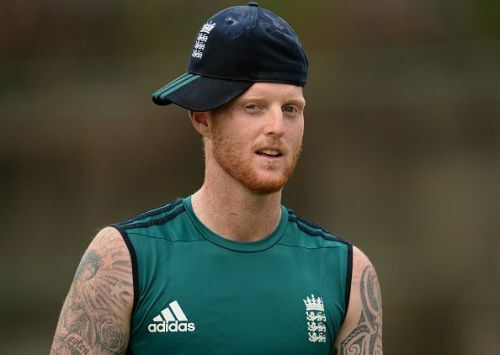 Things are going from bad to worse for Ben Stokes as The Sun published a video of him engaging in a street brawl in Bristol. The England all-rounder was picked in England's Ashes squad and retained his vice captaincy but his place appears to be in fresh jeopardy after this video footage. The Sun had this story on the front page with the headline 'Hit for Six' and included several photos and reported that Stokes was allegedly fighting with two men and even quoted a witness who said Stokes at one point threw "15 punches in one minute". The whole incident seemed to have sparked from Stokes coming to the aid of his international colleague, Alex Hales and another friend after an unknown person swung a bottle and hit one of Stokes' group on the back. The footage allegedly shows the all-rounder throwing punches at two men, including one who has a bottle in his hand. He knocks one out and continues to throw punches for a minute before Hales pleads "Enough, Stokes" and tries to calm him down, which is heard on the footage. According to the Sun, ECB said: "We have seen this footage for the first time when posted by The Sun. There is an ongoing investigation which look at all available evidence." Following the incident at 2.35 AM on Monday in the Clifton area of Bristol, the England all-rounder was arrested on suspicion of causing actual bodily harm, held overnight on Monday and was subsequently released without charge but the 26-year-old remains under investigation. England's Director of Cricket, Andrew Strauss confirmed that as a result of the incident the all-rounder had suffered a minor fracture on the little finger of his right hand. While it is not serious and he is expected to be available for the Ashes, there is a chance that he might face charges in the UK as a result of the police investigation. Speaking about the issue ahead of Stokes' inclusion in the Ashes squad, Strauss said: "All we can do at this moment is deal with what we know. We have no idea how things are going to develop from a police perspective and it would be wrong for us to second guess that in any way. We are judging our Ashes selection on that basis." With the all-rounder still under investigation, it remains to be seen if he faces any sanctions both by the England and Wales Cricket Board and the Police. Stokes' actions could lead to a prosecution where the court will have to decide if he was acting in self defence or not. It hasn't been a great few days for Ben Stokes. After the third ODI in Bristol, the all-rounder has been arrested, subsequently released, his place in the Ashes has been under a cloud along with his vice-captaincy and although he has retained both since then, he is still under investigation and this alleged video might be the last thing that he would have wanted. Only time will tell if this has a major impact on what happens next.